Mahindra launched the KUV100 back January 2016 as Mahindra’s entry-level compact-SUV/rugged hatchback. Though it did’t made a big impact on the market, the company than launched the second variant of same in 2017 and named it KUV100 NXT, it came with few cosmetic tweak and improvements. As KUV100 comes under the most demanded compact-SUV segment the company wanted to continue KUV with much improvements. The concept also showed fast charging that could charge up the battery to 80 percent in less than an hour. 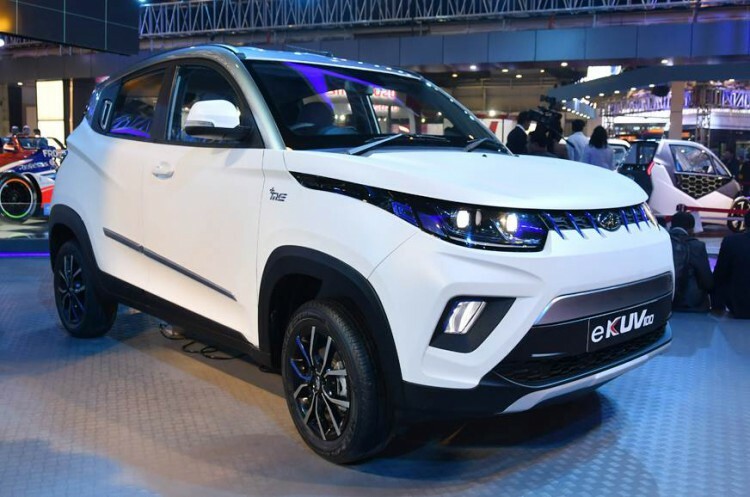 Although Mahindra also said the KUV100 hatchback could have a range of 350km under the EPA’s (Environmental Protection Agency) testing cycle, and a top speed of 186kph with the acceleration of 0-100kph in 9sec. Company mentioned this because they were developing high-density batteries and high efficiency electric motors with power outputs up to 165kW (204hp). As eKUV is upcoming electric vehicle, the company could also offer mobile control featured such as AC cooling control, location tracking. etc. Stay tuned with Alloftop for more updates on Cars and Tech news.